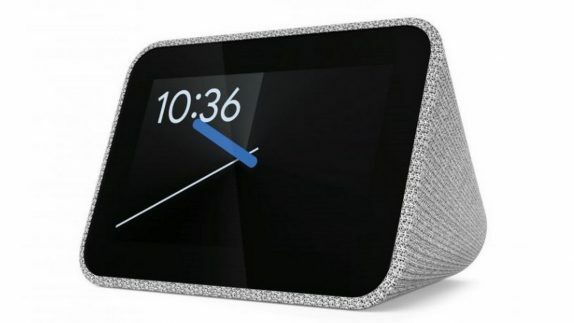 Lenovo and Google at CES 2019 have unveiled the Lenovo Smart Clock with the Google Assistant. The company says that the Smart Clock lets you control your smart home and listen to your favorite music with multi-room audio grouping. The Lenovo Smart Clock supports voice and touch controls. It sports a 4-inch IPS screen to perform various tasks. The company says that the Smart Clock helps users cultivate better sleep habits. The Lenovo Smart Clock to serve as your ultimate bedroom companion to cut down on your usage and screen time throughout the evening and help improve your sleep hygiene. The Google Assistant lets you set sleep routines, such as dimming the lights and displaying your first calendar event with just a single command. It comes with a full-size USB port for convenient charging, a full-range 6W speaker and two passive radiators tuned with Dolby’s latest background noise reduction technology. 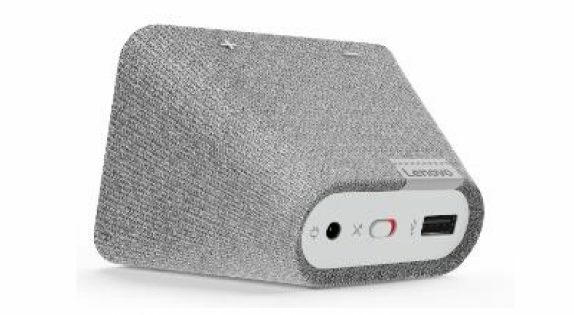 Thanks to the multi-room functionality, you can also add the Lenovo Smart Clock to a home speaker group and play music, audiobooks, podcasts, and radio across multiple devices in several rooms. The Lenovo Smart Clock also works with Chromecast. Users can take advantage of the Assistant Routines. They can set the Lenovo Smart Clock to automatically turn on your coffee maker in the kitchen or heater in the living room when you wake up. It supports over 10,000 products and 1,000 partners and brands. The Lenovo Smart Clock is priced at $79.99 (Rs. 5,634 approx.) and it will be available from spring 2019.